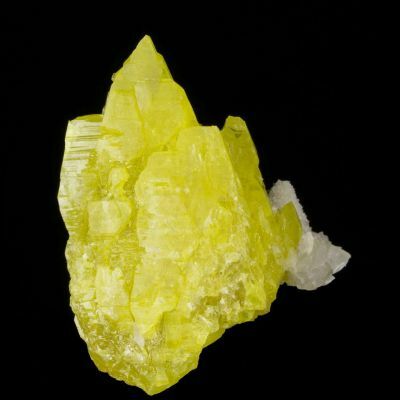 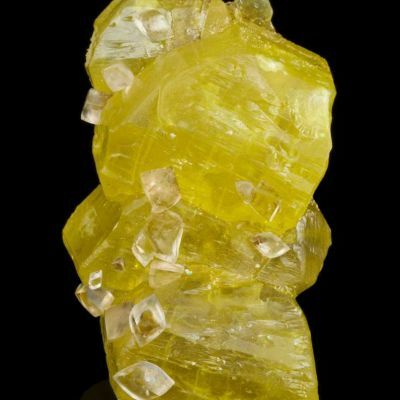 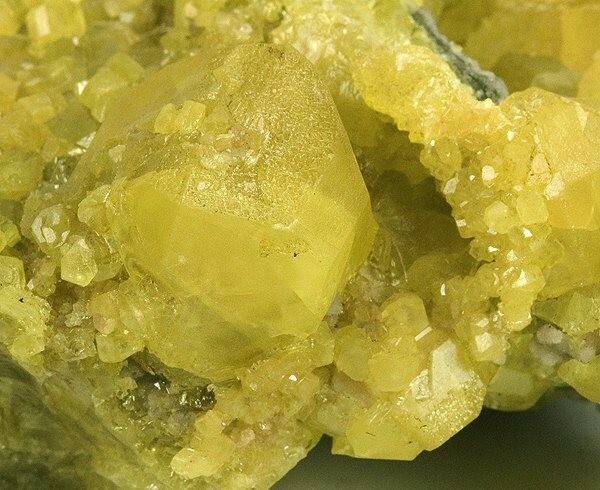 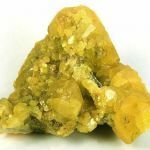 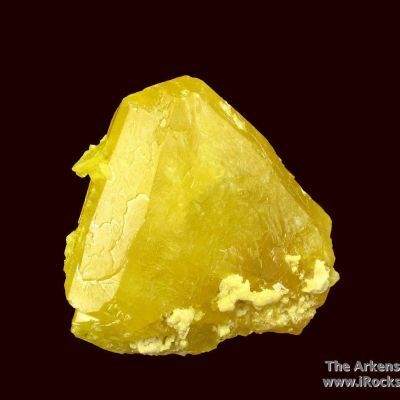 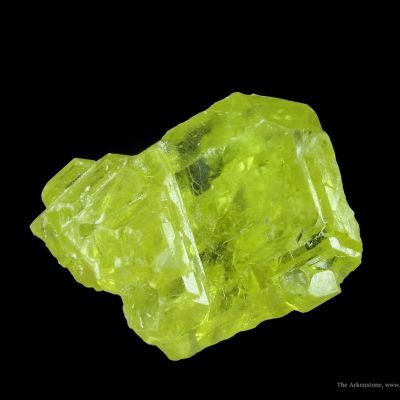 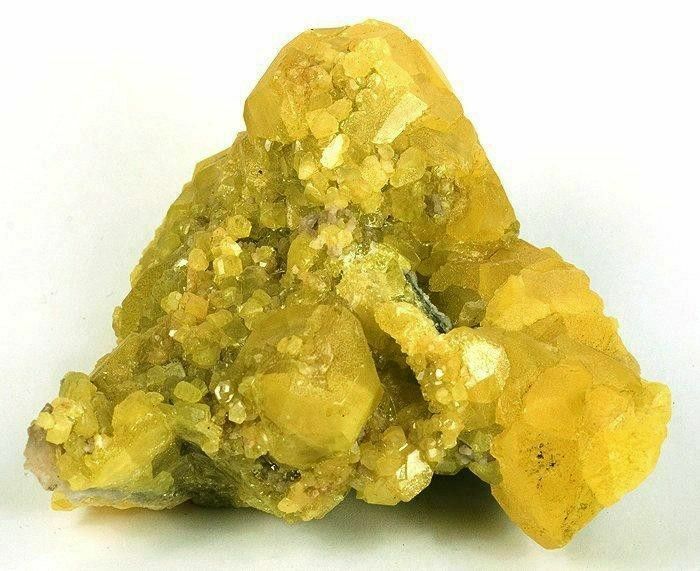 A rich and fine cabinet specimen of gemmy and lustrous, Sulfur-yellow Sulfur crystals covering the 3-dimensional, mounded matrix. 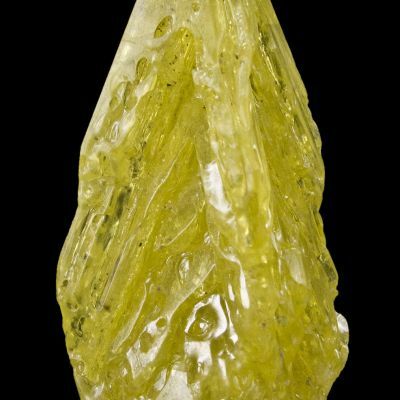 The largest crystal, in the lower front of the piece, is 2.5 cm. 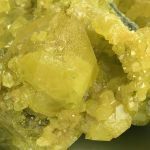 This is an excellent, complete all-around piece. 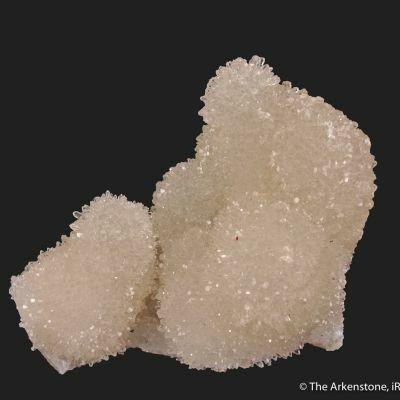 Classic, old-time material from Agrigento, Sicily and the George Elling Collection.